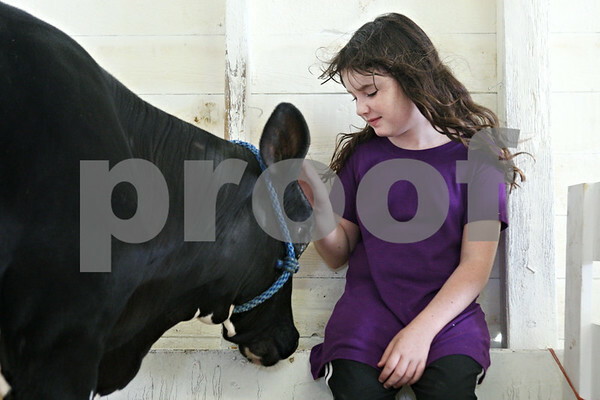 9-year-old Destiny Fogle, of Leland, spends time with her 4-month-old holstein calf named Keyanna at the Sandwich Fairgrounds on Saturday during the 4-H Livestock Fair. This is Fogle's first year showing and third fair the duo have been to this year. "She loves me and I love her," said Fogle of Keyanna.